We’re delighted to welcome Karin Schimmelschulze, Managing Director of German Advantage, as a regular guest blogger. In this article, Karin reveals how to successfully navigate important business meetings with German clients. Imagine yourself in Germany: a board room, a CEO and a few MDs. What is the industry/ sector / market behind these people? How well informed are you about their background? How much do they know about you/ your product/ your service? You may be thinking ‘I have done my homework’ and where product or service is concerned, you will have, otherwise it would be foolish to turn up. Have you also considered the importance of your respective ranks within the company’s hierarchy? Do you know whether this is a family-run business with paterfamilias at the top? Does the location (former East/ West ) have any potential impact? Do you know how to address your business partners considering there may be titles? Can you communicate on an appropriate and comfortable level? These are but five of a range of questions you will want to know the answers to before finding yourself in this board room. There is truth in the saying that you only have one chance for a first impression. All too obvious? Why then is the stereotypical perception of the British to be late and badly organised? Alternatively it is tweedy and old fashioned. A young industry will bring out ‘creative, strong in design, poor in finish’ and service industries generally come up with ‘overly polite and insincere’. I still see the unrivalled British design abilities and the creative thinking as enormous potential for co-operation with the rigid German market. There is not a lot of lateral thinking in Germany and that is the Number One opportunity for the British market. Find your way in through being culturally aware, using your knowledge and leaving the first impression that eradicates prejudice and stereotypical perception. 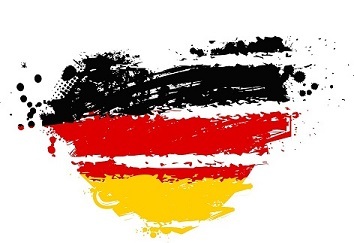 German Advantage will support you in this through Culture Coaching. For details please visit www.germanadvantage.co.uk and be as good as you are.